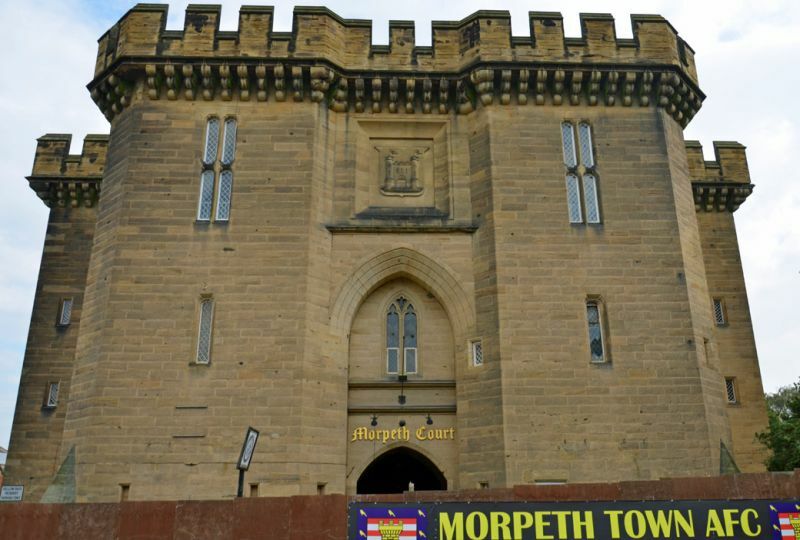 Former courthouse, and gateway to former gaol; now restaurant and apartments. block with square side towers and 8-sided apsidal back. 3 storeys, 3 bays. floor. Battlemented parapet on large close-set triple-stop corbels. tunnel vault with transverse ribs.